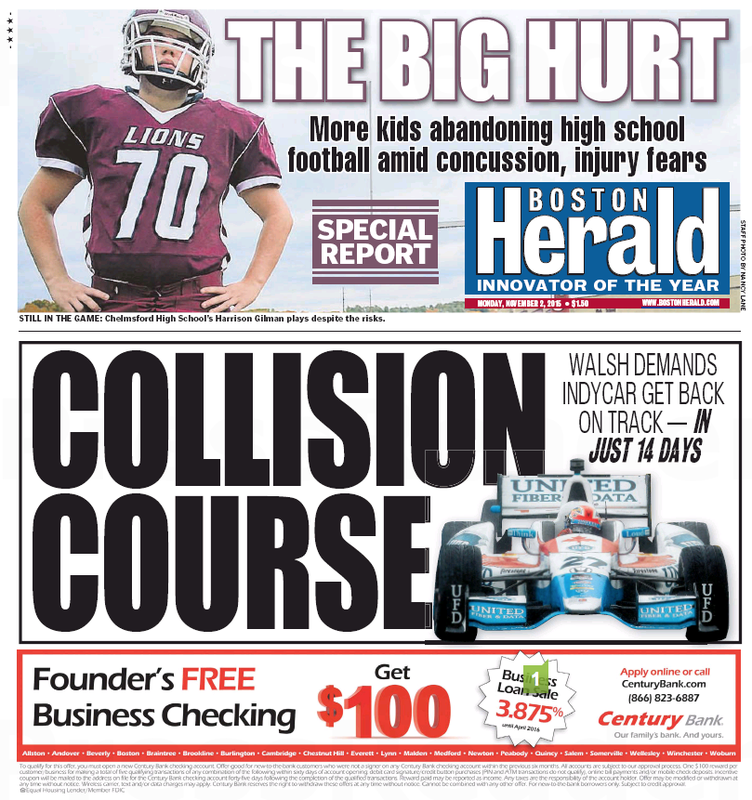 Today’s Boston Herald, Page One (Inexplicable Little Green Numbers Galore!). Not, we might add, the Boston Herald readership. The young, smartphone-wielding, rich professionals do, however, read the Boston Globe, which is still drafting in second place. The Not-So-Grand Prix of Boston keeps sputtering along, and it’s the racy local tabloid that’s serving as the pit crew. Today’s Boston Herald, Page One. 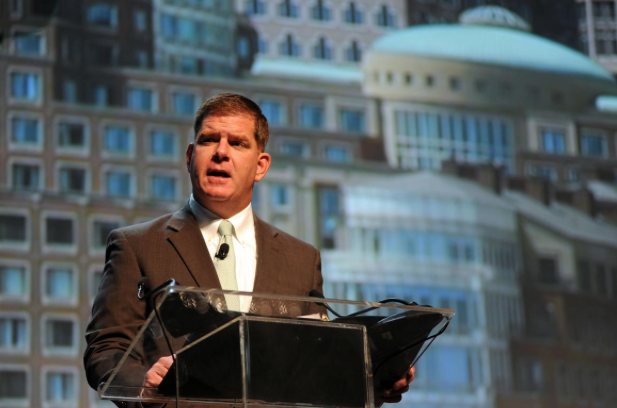 Mayor Martin J. Walsh is demanding IndyCar promoters get their act together, issuing an ultimatum to “finalize” deals with state agencies soon, in a major toughening of his stance on the planned Labor Day road race. In an emailed letter obtained by the Herald, Walsh’s chief of operations, Patrick Brophy, gave IndyCar just 14 days to reach financial and other agreements with several agencies that control most of the planned course on the waterfront. We’ll see if IndyCar can move that fast. Meanwhile, the Boston Globe has stalled out on the story.